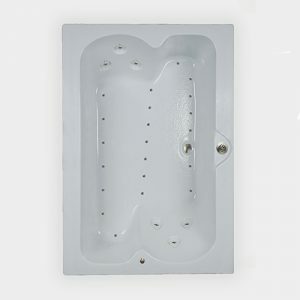 If you’ve got your heart set on a bathtub built for two, then the 6464 Elite air bath is for you. 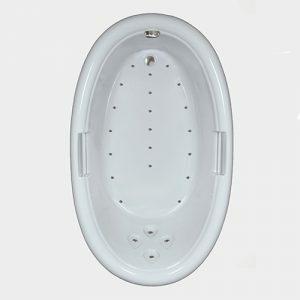 This tub will maximize any corner you put it into. 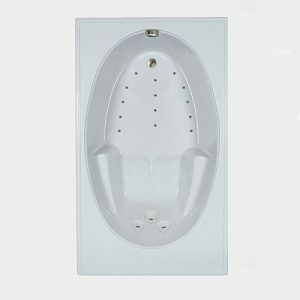 Two arched seats hug you and your partner in comfort with matching pairs of armrests and two different jet configurations for your back—one aligned with your spine, the other with key muscles in your back. 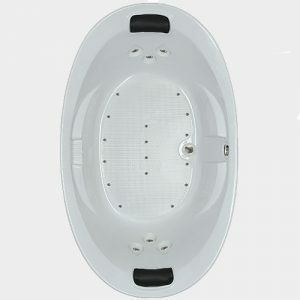 Take turns in the seats for a complete massage experience. Altogether, forty-two air injectors are placed on the side walls and tub floor, providing millions of air bubbles for a soft tissue massage. 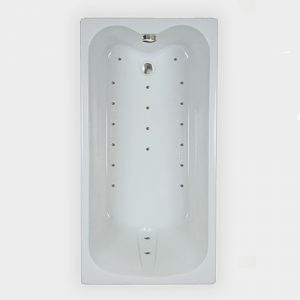 Built-in headrests and sloped backs increase the comfort factor. 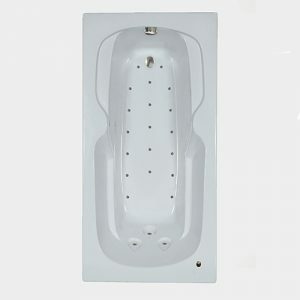 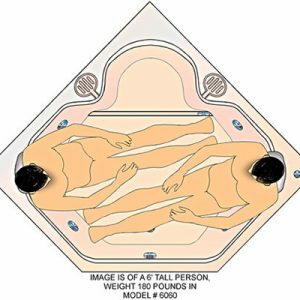 This spacious 2 person acrylic 60×60 corner air bath has a large enough interior so 2 bathers can either sit side by side or face to face comfortably. 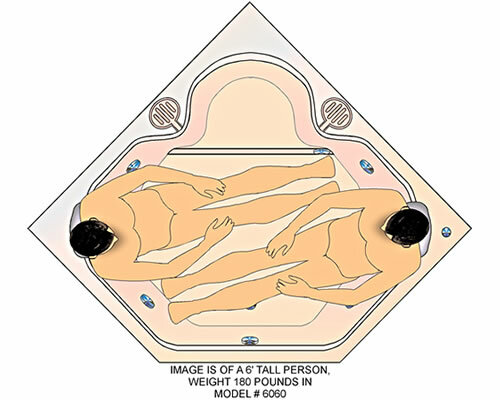 When facing each other, each bather will have two recessed air jets massaging their back. 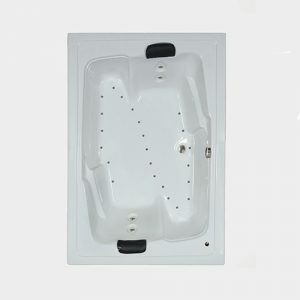 A convenient corner seat provides a place to sit and let the jets massage the feet, ankles, and calves without having to fill the entire air bath. 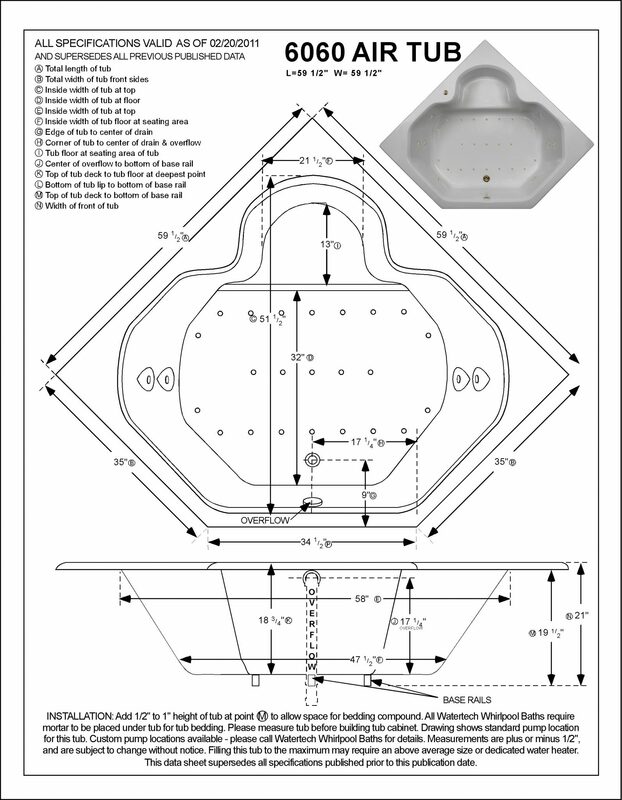 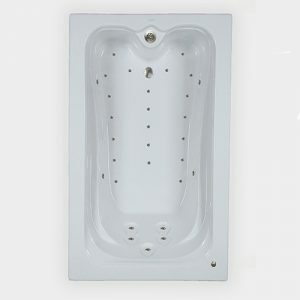 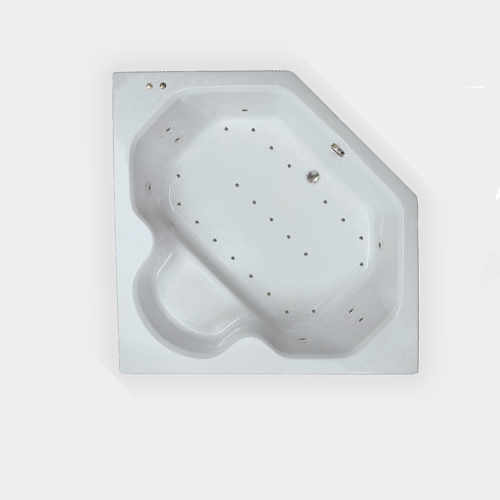 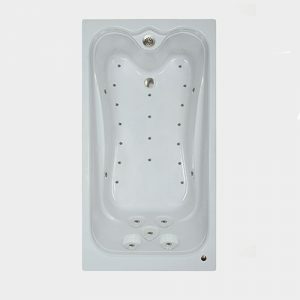 Watertech also offers two other corner jacuzzi style air baths that have different dimensions and features: the Designer series A6262 and the Elite series A6464.